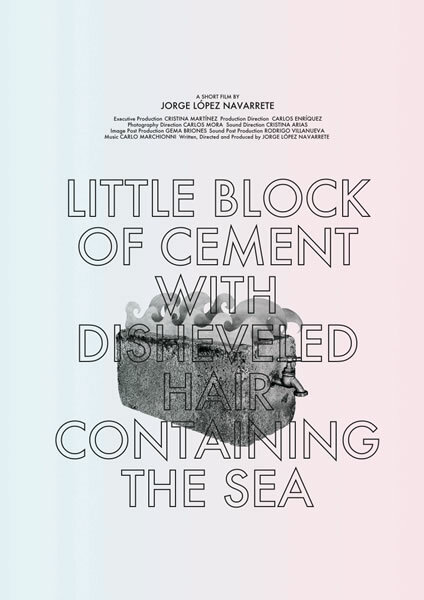 Sono felice di annunciarvi che il cortometraggio Little Block of Cement with Disheveled Hair Containing the Sea di cui ho composto e mixato le musiche ha vinto il premio giuria e il premio del pubblico al 29. Internationales Kurz Film Festival Hamburg. Immaculately conceived, supremely artful and sensitively shot, the most enigmatically entitled film of the NoBudget Competition, convinced the jury for it’s story of high altitude Ecuadorian romance. Guest featuring the Galapagos Brigade Band of Riobamba, and two main protagonists whose portrayal of the give and take of commitment never fails to convince, “Little Block of Cement with Disheveled Hair Containing the Sea” is a work of great ambition. Through Jorge López Navarrete’s masterful edit, the power of cinema reveals and evokes the most profound of human emotions, transforming the runaway tale of a white mare and a German Shepherd Dog into a widescreen epic of jealousy, betrayal and romance.